Epson Stylus Pro 4800 Genuine Ultrachrome K3 Ink Cartridges. 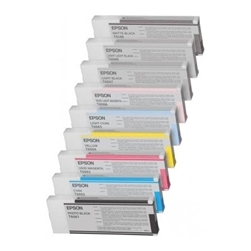 Achieve consistency and stunning results in your fineart and photographic giclee digital printing when using genuine Epson 4800 ink cartridges. Order placed online and items delivered the next day. Excellent service.